Oh the food we go through at my house. With 3 kids the grocery list never ends, but one thing always on the top is peanut butter. Call me crazy, but I am just a little skeptical of big brands these days. If it is something I can make myself, I will try to at least once. 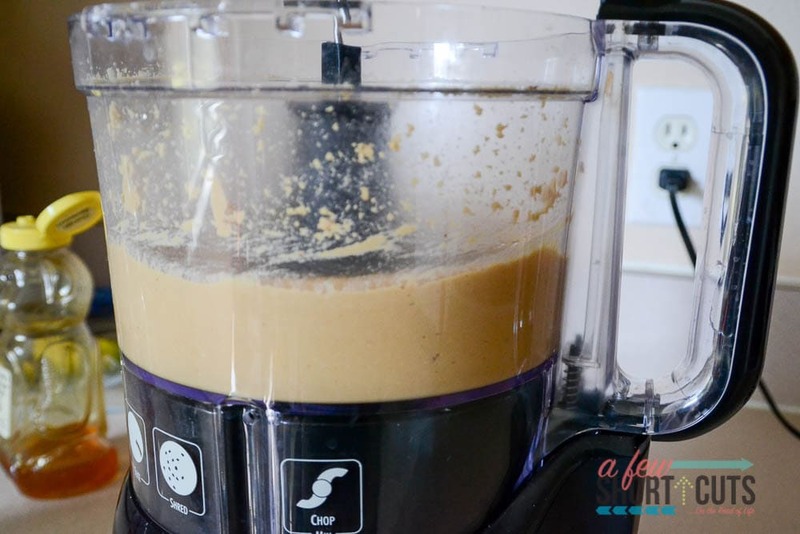 So this week I tackled Homemade Peanut Butter. I am not going to lie. This is something I have avoided in the past. I thought it was going to be hard, or taste funny, or no one would eat it because it was just “not the same“. Funny all the things we play out in our own heads that never turn out that way. I bought this jar of Dry Roasted Unsalted Peanuts at Aldi this week. I already had some yummy local honey in the pantry. 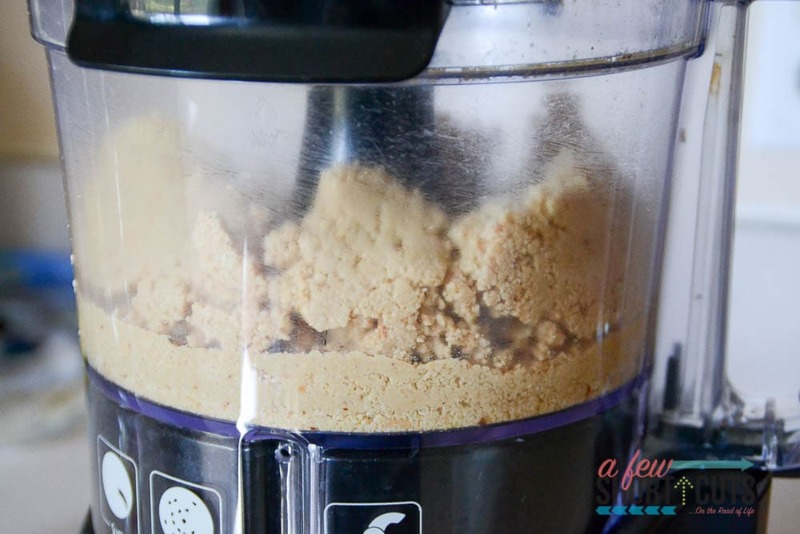 I dumped the peanuts in my food processor. That is it. Nothing more…nothing less. Seriously, only peanuts. I gave it a whirl for a minute and ended up with this. 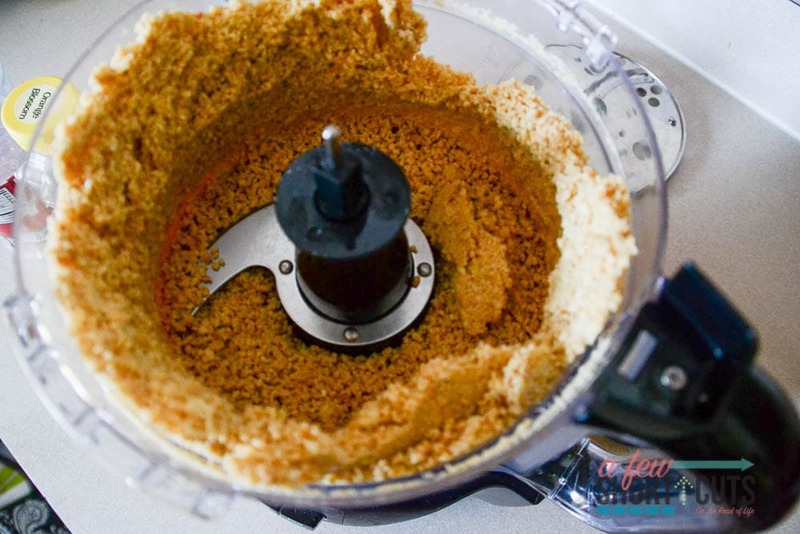 Looks like a graham cracker pie crust. Lid back on and gave it a whirl for another minute. You can see it is more like a play dough consistency now. Never fear!!! Just let it go for another minute. I would say we have chunky peanut butter now. 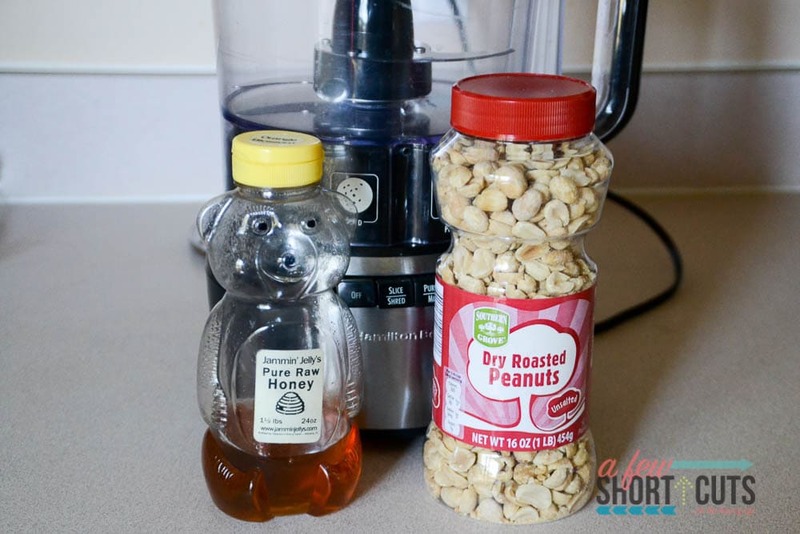 If you are good with chunky, you can add some honey and salt to taste and be done. In my house we like creamy though. So I added the honey and salt and let it go for another minute. We have peanut butter! 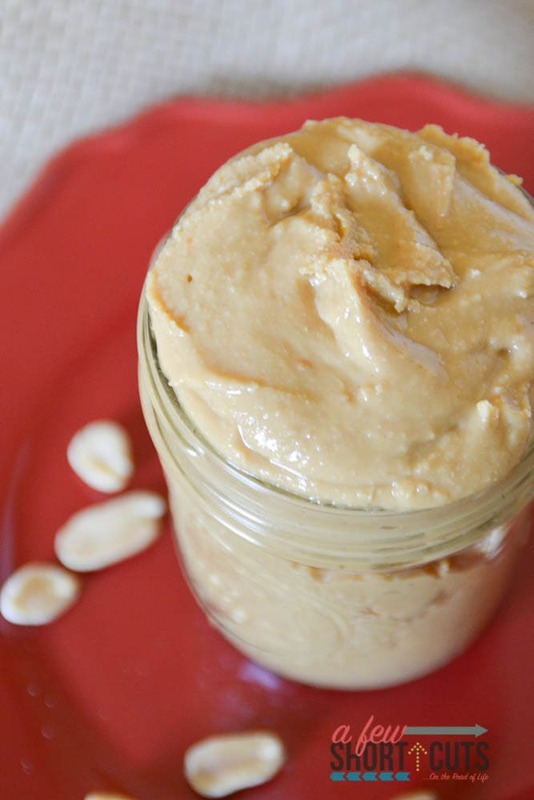 Creamy fresh peanut butter. The real verdict would be from the kids. 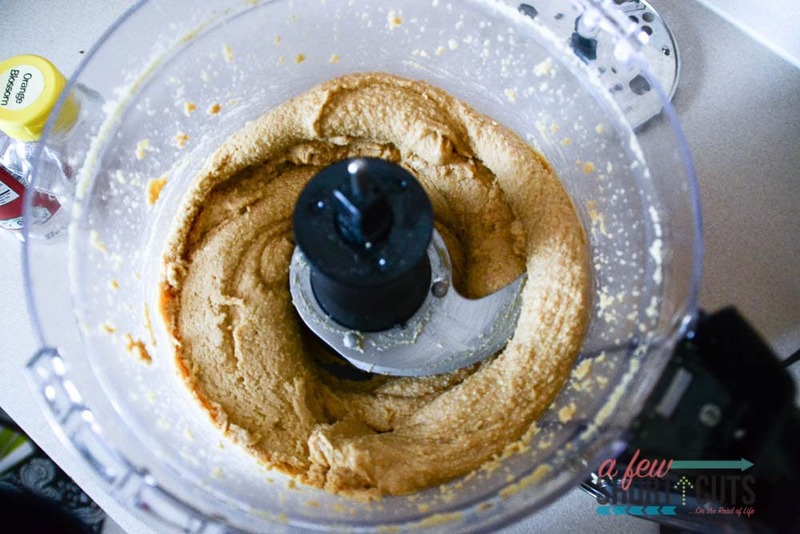 Who all came running when I said I made peanut butter. I then found out that this is apparently the BEST PEANUT BUTTER they have ever eaten. Did I make enough for sandwiches? Well, of course I did! 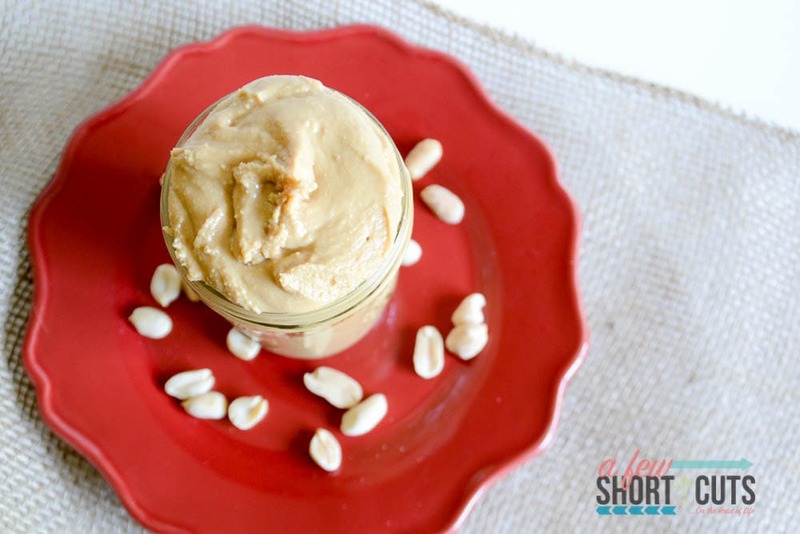 Not a shocker that the 16 oz jar of peanuts made exactly 2 (8 oz jars of fresh peanut butter). So after a couple dollars on peanuts and about 4 minutes we have some fresh amazing peanut butter with no added corn syrup, flavorings, or preservatives. 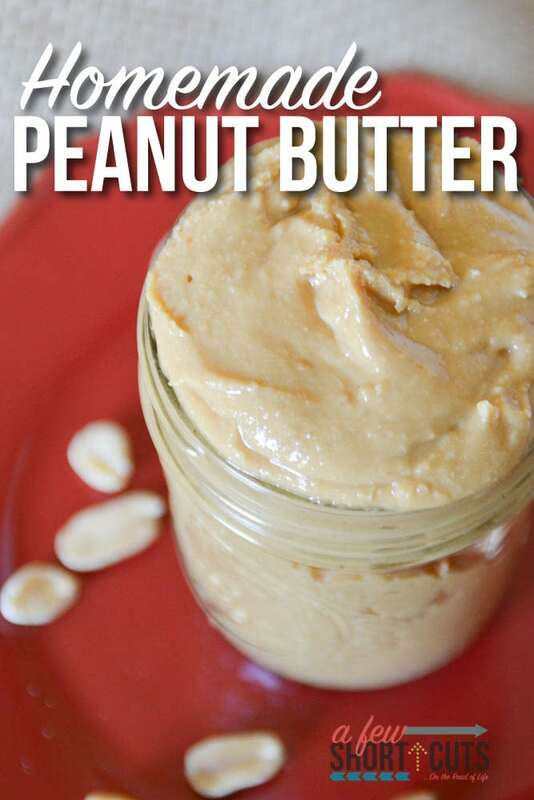 And if I do say so myself….it is the best peanut butter I have ever tasted! 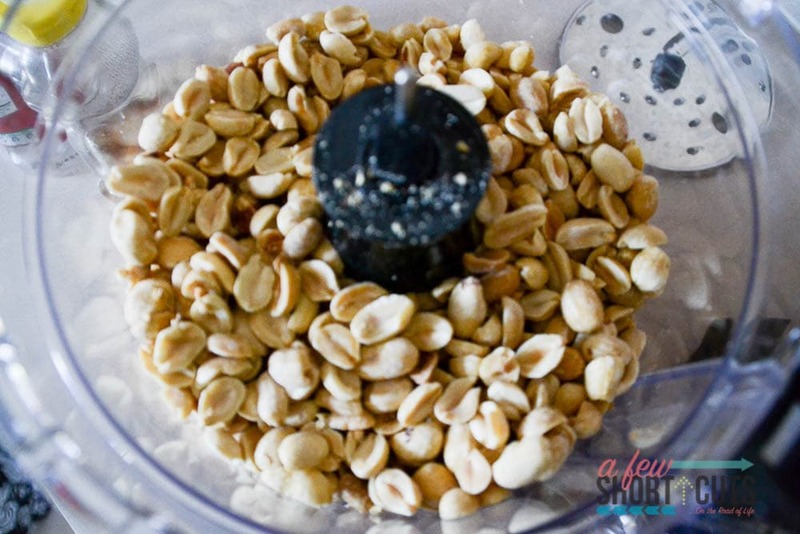 In a food processor or blender, process peanuts for 3 minutes. 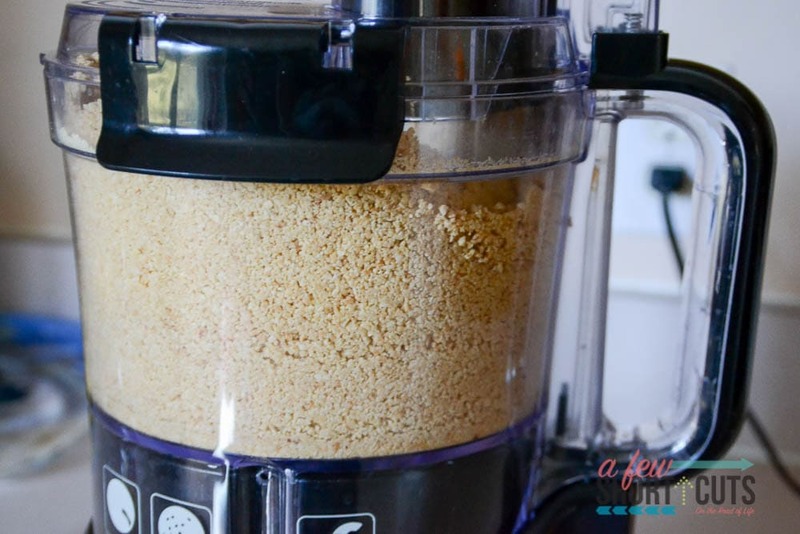 Stopping or scraping the bowl in between. After 3 minutes add honey and salt. Process for another minute or two until smooth. 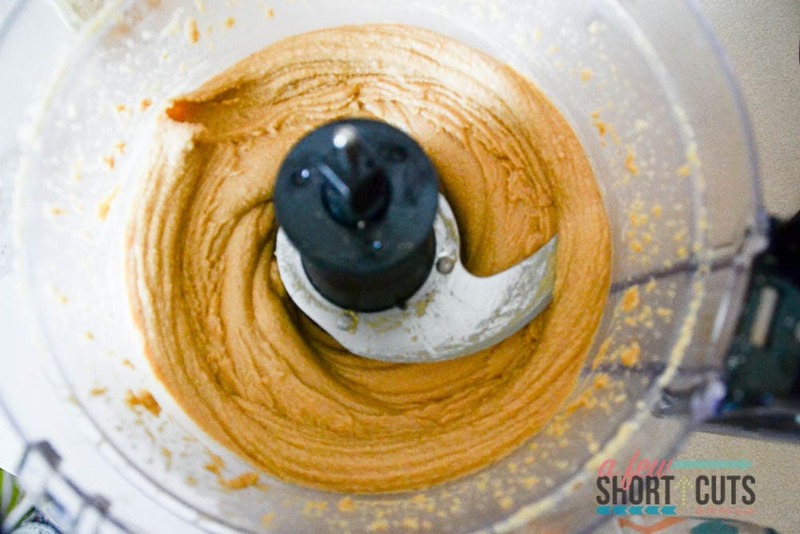 Makes 16 oz of creamy peanut butter.